Like desert nomads we have traveled between Lake Worth, West Palm Beach and Delray Beach for over 12 years - sharing our love for comedy with Palm Beach County. 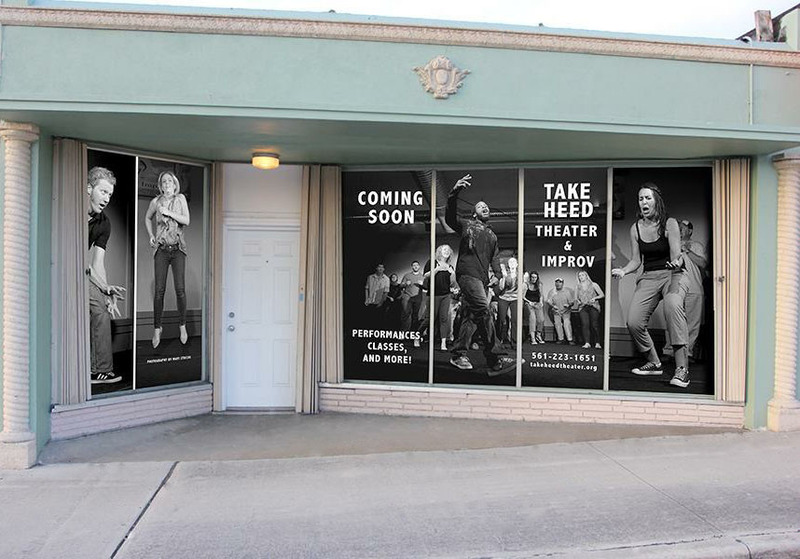 We are trying to raise money to build out our theater in West Palm Beach, FL. The money will be used to renovate a portion of the space and get us closer to a fully functioning code-compliant theater. This will include building two bathrooms, a box office, performance space, and upgrading the doors and electrical system. This project is important to us because the City of West Palm Beach is long over due for a theatrical space whose focus is on comedy. Whether it be the production of plays, improv or education. 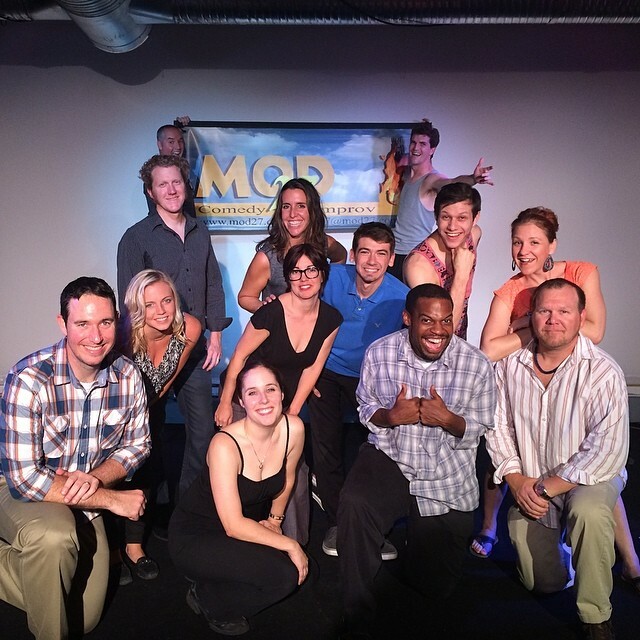 A venue that focuses 100% on comedic theater, improv and education does not exist in Florida. 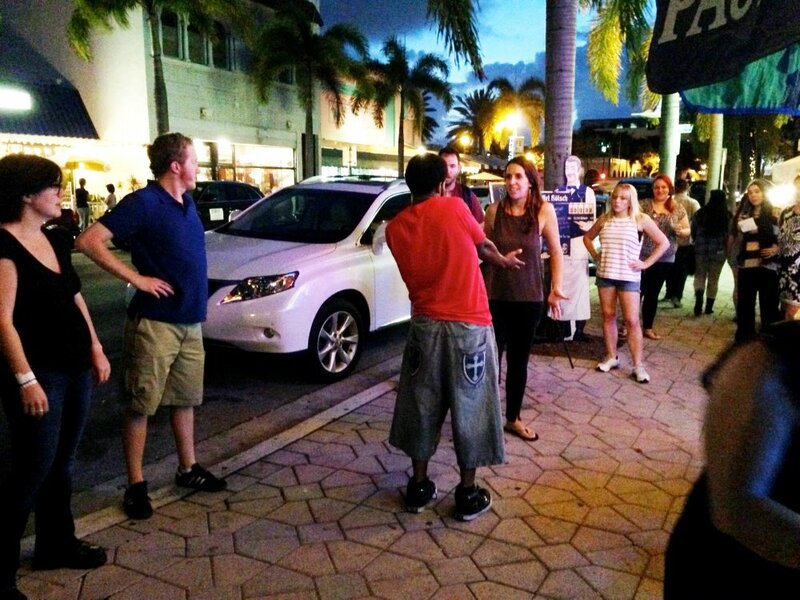 For the last three years our West Palm Beach shows have had consistent runs of standing room only performances. What this means is two things: 1) there is a high demand for our product and 2) West Palm Beach is underserved with regards to this type of entertainment. Having our own venue will permit us to put on more productions and benefit the community. Also, after renting various locations throughout Palm Beach County we have learned a very important lesson - as a renter your goals are always secondary to whatever the venue's focus is. This reality was crippling our ability to grow. Each time we moved we'd have to rebuild a considerable portion of our audience. In the summer of 2015 we started leasing a space at 811 A Belvedere Rd, West Palm Beach, FL (near Tulipan Bakery). The space is roughly 1,600 sq. ft. and once complete will house a performance area, rehearsal space, lobby, box office, concessions, tech booth, offices and two bathrooms. Although nomadic, over the 12 years in operation we have been very shrewd savers stashing away a considerable amount of money which we intended to start up our venue. 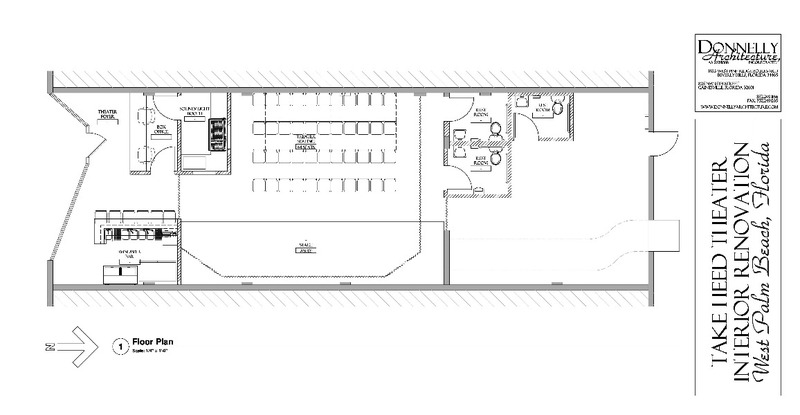 We commissioned an architect to put together plans and submitted them to the City for review. Over the years we had stored up enough money to start up. This included 6 months of expenses and a simple renovation. We figured by that point we would be up and running, teaching classes and producing shows at which point we would be self sufficient. The previous two tenants of the space were an army navy surplus store and most recently a church (for the last 13 years). The church part is key because churches, according to the Florida Building Code, are very similar to theaters. Without giving a lesson on architecture/engineering it has to do with how people congregate (to simplify things think fire safety). We have an engineer on our board and we were very intentional with selecting this space because of the church factor. Remember 6 months of expenses and simple renovations. Well, unbeknownst to us, despite being in operation for 13 years, when the church opened their doors it turns out they did not submit plans to change the space's occupancy from army navy surplus to church. Incidentally army navy surplus stores are just that, STORES and do not operate at all like churches and theaters (you knew that and you probably aren't even an architect/engineer). And since the church only operated on Sundays - when coincidentally code enforcement is not in operation - the City never noticed. That is of course, you guessed it, until we strolled in with our plans for our simple renovation. To quote a building reviewer, "Oh... this is going to be VERY EXPENSIVE for you... You are going to have to bring the whole building into compliance". The kicker is that we cannot operate in the space until we are compliant. So goodbye simple renovation and revenue from classes/productions to help pay expenses. Hello extensive renovations and Gofundme. We thought we had this planned out "6 ways to Sunday"... Get this, just incase the above plan did not work we built in a back-up plan. Take Heed Theater had been receiving a grant from a foundation for the last 10 years. The grant would be sufficient to cover our expenses for an additional 6 months. Bringing our total covered expenses to 12 months with $0 of revenue. Great plan right? Since you are reading this on Gofundme, I think you know what happened. Unfortunately the foundation decided to not fund Take Heed this go around. is tax deductible. When the campaign ends we will e-mail you the appropriate documentation. First, we are making our goal. However, hypothetically speaking let's say we don't. The beauty of Gofundme is that we receive your donation regardless of meeting our goal. So if we don't make our goal we will first try to scale back or phase construction. If that is not possible, we pledge that your donation will still be used to build our theater - we just may need to do so at a different location. We exceeded $10,000 about 12 days ago and to celebrate we put together a video of us breaking stuff in the theater. Enjoy our demo day festivities. The event will also feature a silent auction, a performance by our improv company, and more. We will be live updating the silent auction throughout the day. Hi friends, Our Artistic Director Dave Hyland sat down with WPTV Channel 5's weatherman Glenn Glazer to talk about our campaign. Check out this video to watch the complete interview. 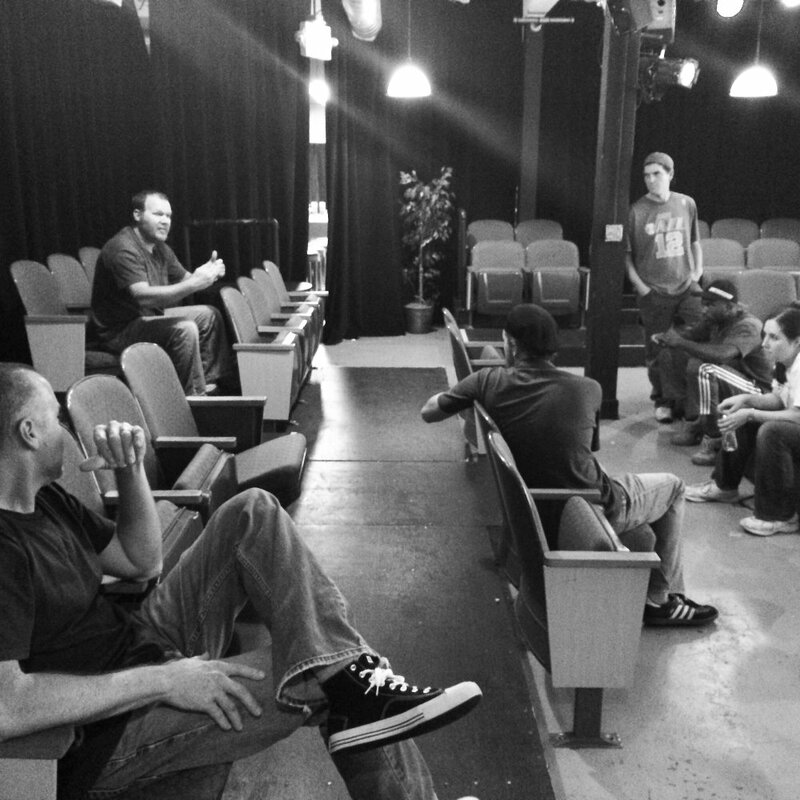 Former MMA fighter Din Thomas wants to share his passion for Take Heed Theater with everyone. Fun video, enjoy! Din Thomas - "Mr. Nice Guy"
We'll stand outside our theater say your name and yell "Oh yeah". But in a Macho Man Randy Savage voice. For a measly 10 spot your name goes on a slide of all our backers and will be projected before our shows for 1 year. Plus you get Machoman Salute. A genuine Take Heed t-shirt. Plus you get Name on Slide reward.